When you are running a business, every chance you get to bring in a new customer should be treated like gold, because it literally is. Nothing is more frustrating than finding out all your time, energy and effort is going to waste. Your best client tells their friend how amazing your business is. That person comes into your business and stands there waving their hands, ready to buy. Your salespeople are doing other things. Eventually the potential buyer gives up, more than frustrated, and rightfully so, leaves. Later that same dissatisfied customer informs your best client of their poor experience—who is mortally embarrassed—and not only decides then and there not to refer anyone else but questions their own allegiance to your brand. Doesn’t that boil your blood? This happens at a different level every time you have leads coming in your door that are not reacted to quickly; whether it is on your website contact page or a phone call that comes into your voice mail system. Those people who take their own precious time, energy and effort to reach out to you expect you to want their business. And shockingly a recent study discussed on Forbes.com showed that 36% of those leads were never even followed up on. The fact is, any leads that are not followed up on in a timely manner will be doing business with the company down the street, not yours. If you are the first to respond to someone searching for a product or service then you will close 78% of those sales. When 63% don’t follow up on a lead within the hour and 24% wait an entire day you have a golden opportunity to beat out the competition and grow your business significantly. Leave it to research by an MIT professor and Insidesales.com data to bring out the “sweet spot.” Now it is up to all of us to learn and leverage. And if you miss the mark? Keep after the lead by reaching out to them at least 10 times before considering it dead. Most stop after 1.3 attempts. And the average contact reached ratio is 10.5%. As a marketer of over 2 decades, I can tell you nothing is more frustrating than seeing your lead quality slipping away simply because they are turning to dust in our CRM. Things are hard enough when your return on marketing investment is measurable in only 29% of your campaigns. 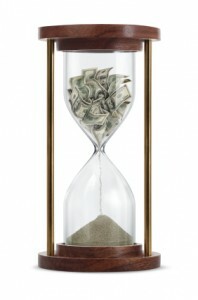 At the very least, move your response times from 6 days to 1 day and you will double your close rates. TWICE THE BUSINESS. Now that would be a breakthrough!